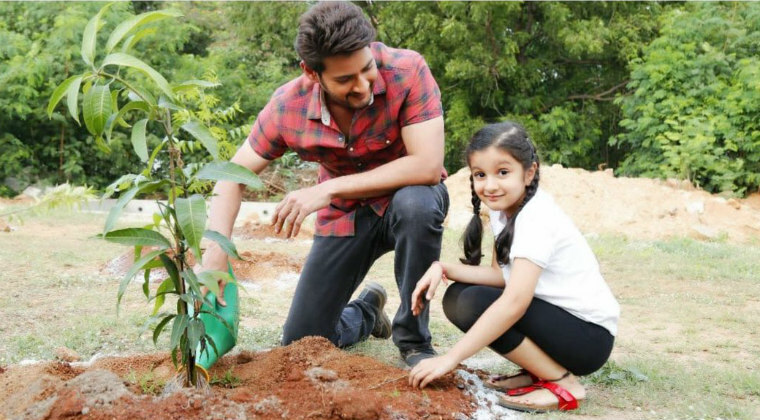 Tollywood superstar Mahesh Babu has accepted Telangana IT minister KT Rama Rao’s green challenge and planted a sapling along with his doting daughter Sithara. He also posted a picture of the planting the sapling with Sithara. Mahesh added that the ‘Haritha Haaram’ initiative is a great project to go green and save the environment. He then nominated his son Gautham, daughter Sithara and director Vamshi to take up the challenge. Next articleసాక్ష్యంకు ముందుంది భారీ ల‌క్ష్యం..! Is Tarak Very Much particular on Thaman Music?